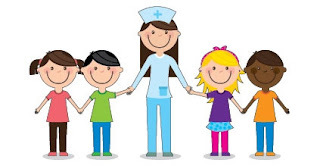 As part of the eight components of school health, School Nurses conduct periodic vision, dental, hearing, blood pressure and other screenings, as recommended by SC DHEC, and as needed as part of the nurse's assessment during a health room visit. These screenings are important in early detection of hearing or vision difficulties that may impact teaching and learning. Many times a student is not even aware he/she is having difficulty seeing the board, reading, or hearing classroom instructions. Please contact our School Nurse Betsy Salcedo, if you do not wish to have your child screened.